Plenty of cards games have been converted into mobile games and play quite well. One that comes to mind is Exploding Kittens, which is a fantastic title. Another card game that seems to be great on mobile, one I’m just learning about recently, is Onirim. Onirim is described as a Solitaire card game, but from what I’ve found, it’s much more complex. Basically, the setting for the game is inside of a dream. To escape this dream, you must find doors within a deck. To find these doors, you must match particular cards in a set of three, which will then reveal a door card. However, Nightmare cards also live in the deck, and they will make you hate this game. When a Nightmare card is drawn, you must hand over your hand of five cards (your hand always contains five cards), give up a key that will unlock a potential door, discard five cards from the deck (there’s only a finite amount of cards per deck, so you must be careful not to give up something important), or give up one of your already discovered doors. There’s no great way to take care of a Nightmare, unless you decide to preemptively give up a door key card, which then lets you see five cards that are to be drawn next. With this tactic, you can mitigate a Nightmare card’s damage. Overall, while the game took me a solid 20 minutes to even grasp (I highly recommend the tutorial), it’s a really fun game that I see myself playing over and over again. I may even grab the physical version, just to see what it’s like. 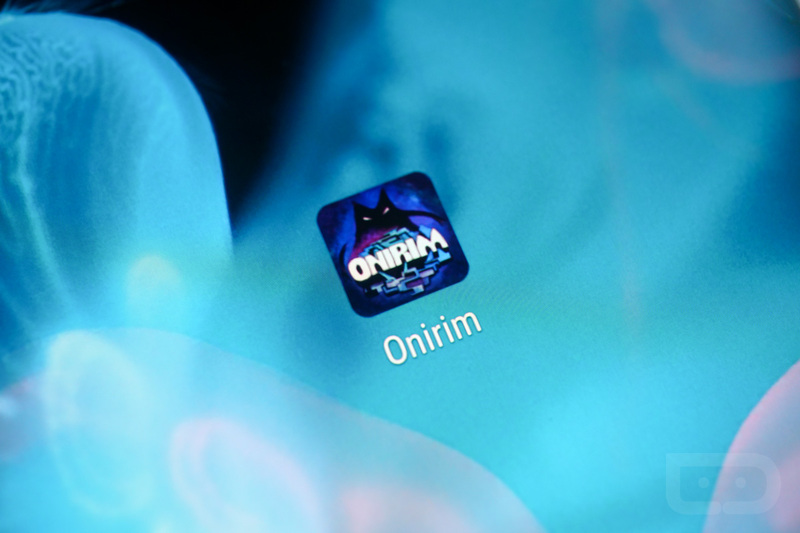 Onirim can be purchased for $1 and that’s it – no IAPs, no nonsense.